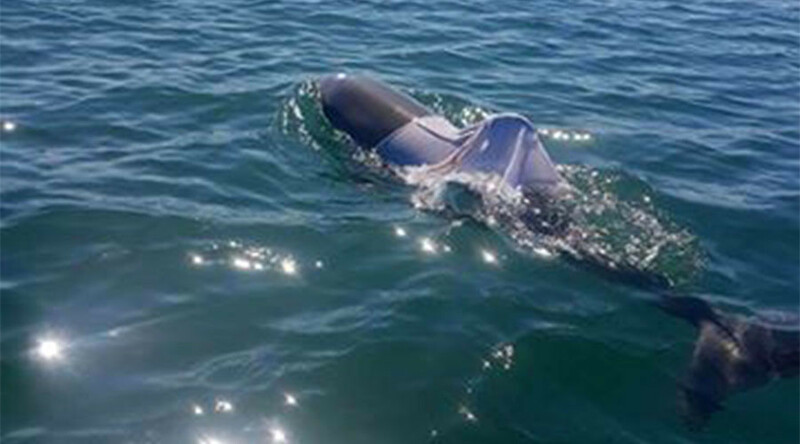 Wildlife rangers in Western Australia are eager to find a bottle-nose dolphin they believe is in danger after the unfortunate animal was apparently dressed in a t-shirt during the Australia Day celebrations. A post on the Department of Parks and Wildlife, Western Australia’s Facebook page, shows the mammal with clothing wrapped around its body, dangerously close to its blowhole. The department received a call from the local Dolphin Discovery Centre, which advertises itself as “Australia’s premier wild dolphin experience”, alerting them to the sea creature’s predicament. “It is unlikely that the dolphin swam into the singlet, so this appears to be an intentional act,” the department stated. It has been a bad week for dolphins. In Argentina, a young dolphin died when beach-goers decided to take selfies with the stranded animal until it expired, rather than helping it back to the safety of the ocean.